Founded in 1965 in the Pittsburgh suburb of North Braddock, the small Cochran Pontiac was driven by a man with anything but small ideas. With Bob Cochran at the wheel, Cochran Pontiac became Pittsburgh's leading Pontiac dealer in less than two years. With unprecedented growth and national recognition in less than a decade - Cochran Pontiac became #1 Cohran, Rob Cochran joined the family business and the rest is, as they say, history! The past 53 years of continued success and investment in the communities that surround us have flown by - and we can't wait to see what our team and the Pittsburgh region accomplishes in the future. 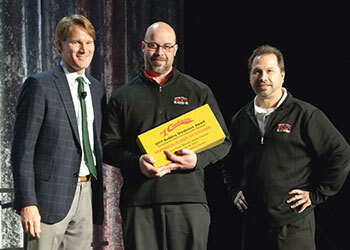 Recognized as a Pittsburgh Top Workplace for the eighth consecutive year, #1 Cochran is the only auto dealer to be recognized each year since the inception of the award! Pittsburgh Business Ethics Award - presented by the David Berg Center for Ethics and Leadership at the University of Pittsburgh and the Society of Financial Service Professionals. Selected for outstanding ethical practices in our daily operations. 2017 and 2018 - #1 Cochran Subaru of Butler County named one of the Top 100 Dealerships in North America! The publisher of Automotive News calls it "the standard by which we measure workplace satisfaction among car dealerships and acknowledgment of those that have established themselves as leaders in excellent care of their employees."